According to recent statistics, the most preferred destination for the migrants are Germany, Sweden, Britain and the Benelux states. Despite that there are countries that are reluctantly takes or even rejects refugees like Denmark, Slovakia, Cyprus and the Czech Republic. 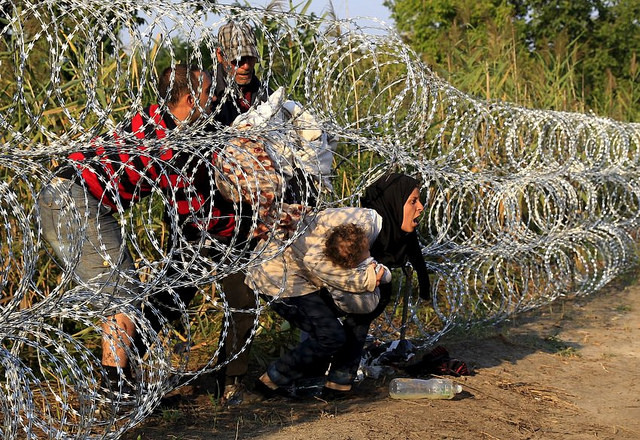 Among the European countries, Greece, Hungary, Macedonia and Austria has the worst issues with the migrants. The cause of this mass illegal immigration is complex. According to European statistics and UN, most migrants come from Syria, Eritrea, Afghanistan, Somalia and Iraq but many other come from other countries like Sudan, Bangladesh, Pakistan, Libya, Mauritania, Yemen and other North African and Asian(mainly Middle Eastern) countries. United Nations said that around 62% of them are refugees. The United Nations also predicted that about one million migrants will reach Europe in 2016. One of the main reason of this mass migration is fleeing of war and persecution, which most, if not all states where the migrants come from faces extreme difficulties and executions are common. The other main reasons are fleeing from poverty and lack of jobs with hopes of better jobs and a comfortable lifestyle. Reaction in Britain is mixed. 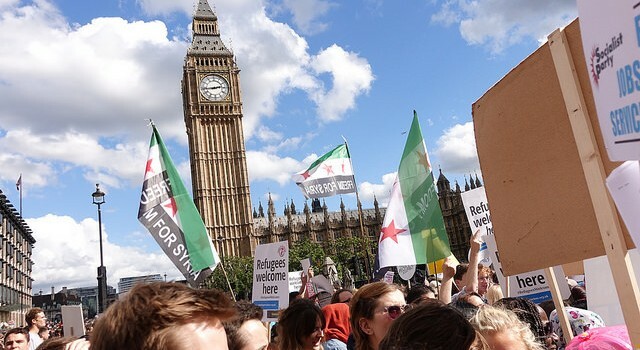 The country stated that it will welcome only 20,000 migrants by 2020. more than 500.000 British citizens supports the idea to support the asylum seekers and signed while around 200.000 are totally against it. 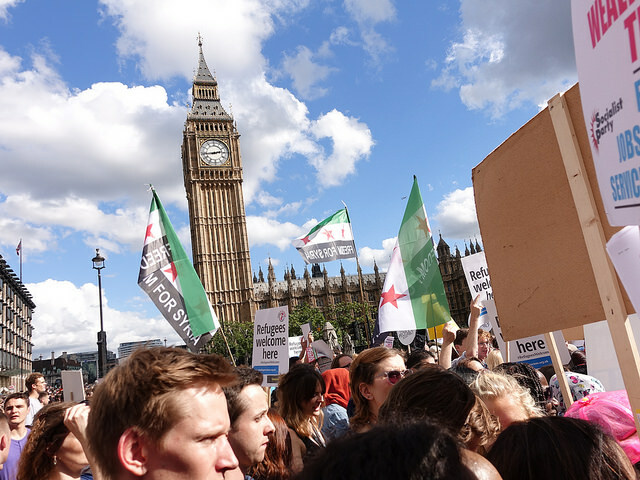 The citizens who supports the asylum seekers signed a petition calling the government to receive more refugees, while those who are against asked the government to stop the immigration and close the border. France said that it will take about 24.000 refugees. France also declared that it will send its troops to Syria to face the situation and ease the migrant crisis as fast as possible. 62% of French Citizens supports the intervention of French troops in Syria. 55% of nationals are against the asylum seekers. Germany expects to receive around 800.000 migrants, the highest in Europe. Germany has long been the haven for migrants(particularly from Turkey, Iraq, Egypt and other Middle Eastern nationals). The reaction in Germany is one of the most mixed among the European Union members. Both pro and anti-immigration marches have taken place in the country and there were clashes between white extremists and migrants. Most people go to big cities such as Munich, Frankfurt, Berlin and others. Denmark strongly opposes the migrant crisis and closed the highways, rail links and borders that connects Germany to keep the migrants out. Most migrants say that they don’t want to stay in Denmark and want to reach Sweden rather than Denmark. The nation firmly stated that it won’t take no refugees inside the country. Despite that, Denmark’s police allow those few migrants who have crossed the country illegally to continue to Sweden. Sweden is among the top destinations for migrants along with Germany. The country stated that it has applied about 65.000 asylum seekers and there are currently about 230.000 refugees. While it has a more relaxed and open attitude towards the migrants compared to Denmark and Norway, the quota itself still faces a lot of criticism both from the Swedish government and the society. The Czech Republic stated that it will accept around 2.000 migrants. Despite that, it has a very hostile reaction towards the migrants, the president himself, Milos Zeman openly criticized the entire situation, considering the entire crisis to be a major threat for the security and interest of Europe. He also said that the migrants bring infectious diseases and increasing danger by ISIS members. The Czech Republic has strengthen the police and military presence throughout the borders, and put stricter laws. Being one of the main route for the migrants towards western and northern Europe, Greece faces a lot of difficulties compared to other European nations. Greece currently welcomed around 43.000 asylum applicants and it is praised by both the migrants and institutions for its hospitality and aid. However, recently there were harsh riots throughout the islands and in some parts of mainland Greece, particularly the Island of Lesbos. Hungary is part of the main route for the migrants and in one way or another, a pit stop for them. Since it borders Austria and Germany is relatively close, Hungary is on the top for having the most difficult issue with the crisis. 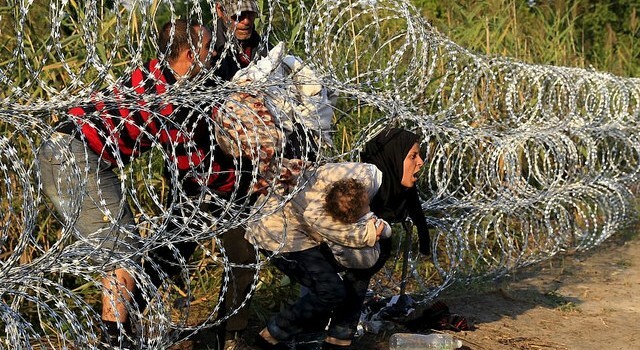 The Hungarian government strongly opposes the crisis and built fences on the Serbian-Hungarian border to protect both the country and the continent from the flow of migrants. In Budapest there were thousands of migrants waiting along the trains at the main railway stations that were heading towards Austria and Germany, and the migrants decided to walk on the highway to the Austrian border. The government closed temporarily the station. Recently Hungary started putting harsh laws and sent the army along the borders to keep them out. The government also said that from this week every migrant who crossed the border illegally without documents will be arrested. Croatia currently accepts around 1.000 of migrants for the next 2 years. The government is working on a plan on how to accept the migrants in the country, making few criteria. Unlike Hungary, Macedonia and Slovakia, Croatia has a more relaxed attitude towards the migrants, although the government said that the police is well equipped and ready to face the illegal migrants. Norway does not allow illegal migrants and only accepted a very few among them. It also started deporting back to the former country. Finland accepts about 20.000 migrants. The reaction of the country is mixed. The borders controls will be tightened. Slovakia was strongly criticized for its attitude towards the crisis. Although the government said that it will accept around 200 migrants, the government on the other hand said that it require for them to be Christian.